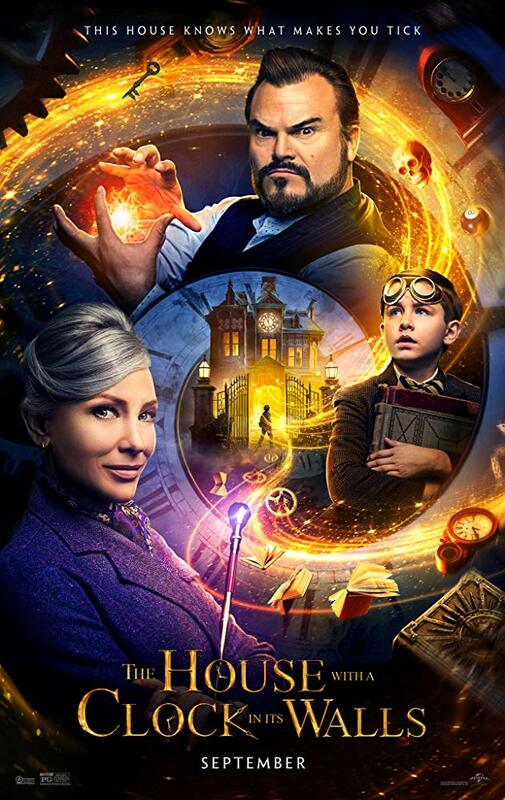 Ghoulish, garish, and just goofy enough to get by, The House with a Clock in Its Walls doesn’t really appeal to any single broad audience. Frightening to the point that it’ll scare plenty of kids just entering middle school and silly enough to make some parents laugh, the film will likely bore anybody who comes in between those massive gaps. That being said, despite how routine so much of this story feels, there are genuine surprises to be had throughout, and it’s plenty smarter than meets the eye. It carefully toes the line between a childhood nightmare and a grown-up’s fever dream. 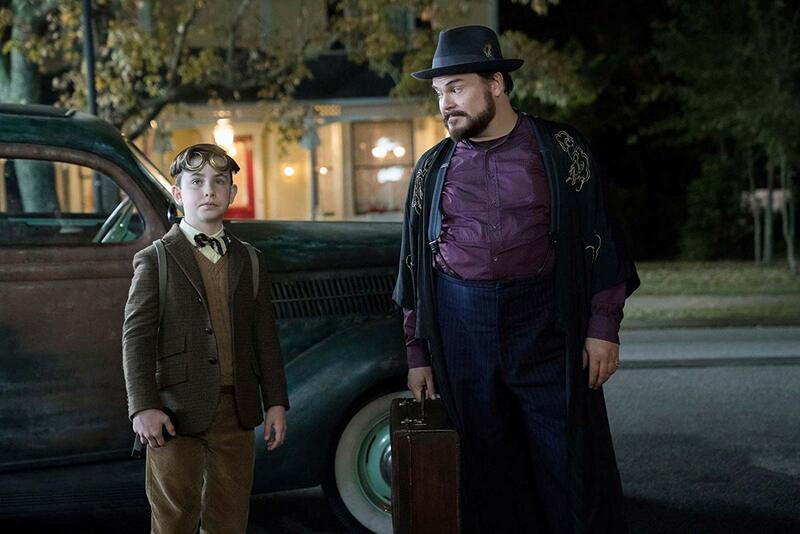 With goggles on his head and a magic 8-ball in tow, the recently orphaned Lewis (Owen Vaccaro) must board a bus to go live with his Uncle Jonathan (Jack Black). The place looks more like a gothic manor than a proper home, maybe even appropriately taking on the likeness of an old orphanage, and walking through the front doors proves to be a bit shocking and even more perplexing. Uncle Jonathan enforces few rules: no bedtime, no chores, and he accepts cookies as a form of dinner. The only restraint against Lewis is his proximity to a certain locked box. But strange things happen come nighttime, and rumors floating around his new school further assure Lewis that he’s living in a haunted house. Those tall tales may not be fact, yet they aren’t entirely false either. So much of Clock in Its Walls depends on conveying a young imagination’s ability to create terror. By that measure the film is a mild success, reproducing or conducting the kind of campfire ghost stories and late-night sleepover scares that kids not only manufacture, but practically welcome when the lights go out. By day they can see possible shapes in the clouds, and by night they can convince themselves that a murderer is lurking outside the window when it’s really just a shrub’s shadow. Conversely though, the movie is fairly underdeveloped in its plotting. Lewis’ friendship with Tarby (Sunny Suljic) goes absolutely nowhere. Uncle Jonathan turns out to be a Warlock, and his best friend Florence (Cate Blanchett) is a talented Witch, but neither character’s background is worth noting. The bad guy who hid the titular clock within the abode has very little depth, even if one of his scenes meeting a satanic figure in the woods is genuinely disturbing. Clock in Its Walls is rather empty on a personal level, reducing the people to video-game characters who progress the story without making their own mark. This is a good, easy, breezy film though. The kind you would expect to round out the Freeform channel’s “31 Nights of Halloween” lineup a few years from now. The movie might not make proper use of Blanchett & Black’s comedic chemistry, and while I have to admit that it relies too heavily on a bad performance from an unseasoned child actor, the picture entertains us without enthralling us. 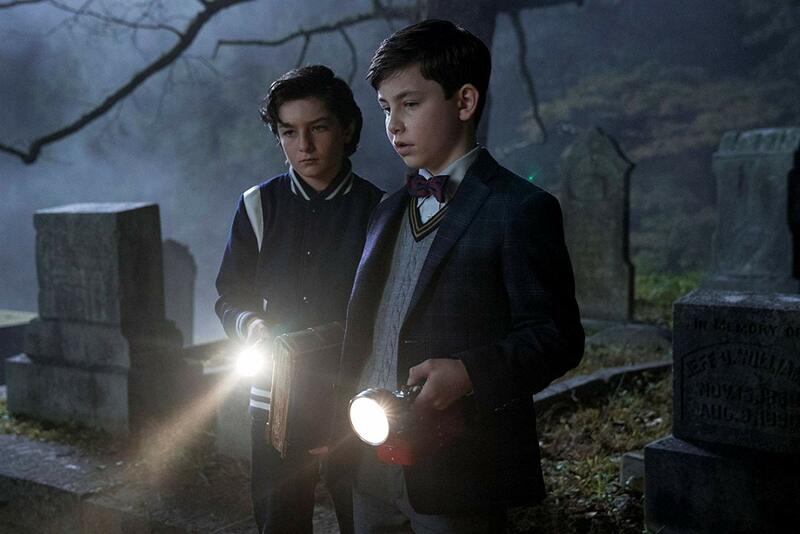 Eli Roth’s take on Clock in Its Walls isn’t scary, nor is it very insightful, yet it’s consistently beguiling and off-kilter. 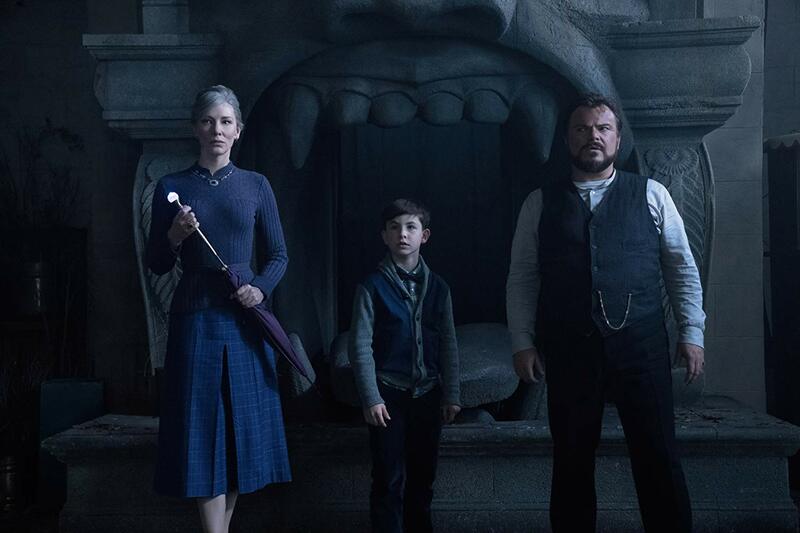 Had the movie embraced the squeamish, deranged sensibilities of its filmmaker to earn a darker PG-13 rating, The House with a Clock in Its Walls would’ve been less enigmatic and more dynamic.